Mobile phones are increasingly becoming accessible to a wider audience. The advent of 3G and 4G technologies at affordable rates coupled with abundant availability of low price Chinese mobile phones in the market has meant that an internet capable smartphone is becoming increasingly accessible to the lower and lower-middle income groups in Pakistan. We conducted fieldwork in three low-income neighbourhoods of Lyari, Korangi and Sultanabad late last year for a project interviewing youth of the areas. 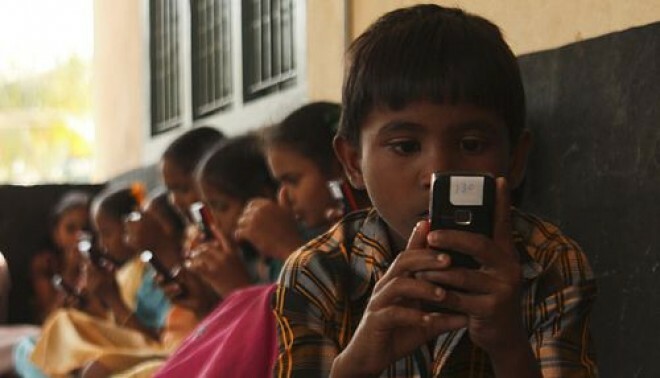 It revealed that although the technology has not been completely embraced by the lower income groups in Karachi, affordability and literacy were not impediments for smartphone usage. Of the three sites of our research, youth of Lyari used social media and smartphones to the greatest extent. Most were active on social media platforms like Facebook and Whatsapp and some even used Snapchat and Instagram. Teenagers in the area had even tailored their activities like roaming around the city on weekends with social media trends. They would carry multiple shirts on their weekend trips in the city; take pictures in them at different locations which would be uploaded on ‘Insta’ and ‘FB’ over the rest of the week. In other working class neighbourhoods of Karachi, the situation is not necessarily similar. In Sultanabad, women do not possess phones because men believe that ‘there is no need of it’ for them since they do not go out for work. In the perception of men in the area, use of this technology is linked with promiscuity, while they themselves find no problem in using it. Even the men themselves were not as advanced smartphone users as those in Lyari. This differential cannot be linked to education, as the educational attainment levels for both areas were very similar. Even though penetration of technology in Korangi was similar to other areas, as most men and women possessed phones, its use among youth was mostly linked with negative activities like accessing adult content. Our field work also revealed that phones also become important tools in times of crisis and conflict. During conflict in Lyari, the residents of the area would wait in a nearby locality to call their families at home and inquire about whether it was safe to go home. In Korangi’s Bilal colony, heavy rains and the absence of an effective drainage system mean that water clogs the roads and passages. During such spells, residents make use of their phones to communicate with the drivers of their daily commute vehicles (mostly company vans) to determine where they would be picked up from. For the city’s women, possession of a mobile phone meant greater agency. Possession of the communication device allowed women to engage with men and make more informed decisions in choosing their partners in Lyari and Korangi. Interestingly, ownership of mobile phones after marriage by these very same women, who had chosen their own partners through communication and interaction via phones, brought out men’s insecurities. Often, men disallowed women from possessing cellphones after marriage due to these insecurities. The women of Lyari reported using their phones and smartphones for communication as well as to find out about educational and employment opportunities. Moreover, “the ‘easypaisa’ service proved to be very helpful for women and their financial mobility, especially in vulnerable circumstances” according to our findings from Korangi. Women’s usage of mobile phones may, therefore, be linked with both empowerment and revealing men’s insecurities. Interestingly, none of the respondents mentioned affordability as an issue when it came to owning a phone. Reasons for men and women not owning mobile phones or smartphones were linked with their usage and need rather than affordability. With services like easypaisa being popular among men and women alike and arrival of facilities like Bykea, Careem Tezz and Uber Auto which target the lower economic strata with ride-sharing services for motorbikes and rickshaws point to the potential of technology in improving standards of living for the poor. Cash transfer programs like BISP which made use of ATM cards have worked and have improved tech literacy and empowered the vulnerable at the same time. Owing to the increasing accessibility of phones and internet affordable rates, at least urban Pakistan is ready for programs that have phones and smartphones as important instruments which could be immensely helpful with regards to empowerment of socio-economically vulnerable segments of the society, as well as improving their standards of living. The need to possess the devices would likely increase technology penetration as lack of education is not necessarily an impediment in using simpler platforms. Although the technology has increased the existing anxieties in society and brought new conflicts, it has the potential to improve lives and empower some of the poorest and most vulnerable segments of urban Pakistan. Easypaisa is a service that allows instant money transfer within Pakistan requiring only valid mobile numbers and CNICs.